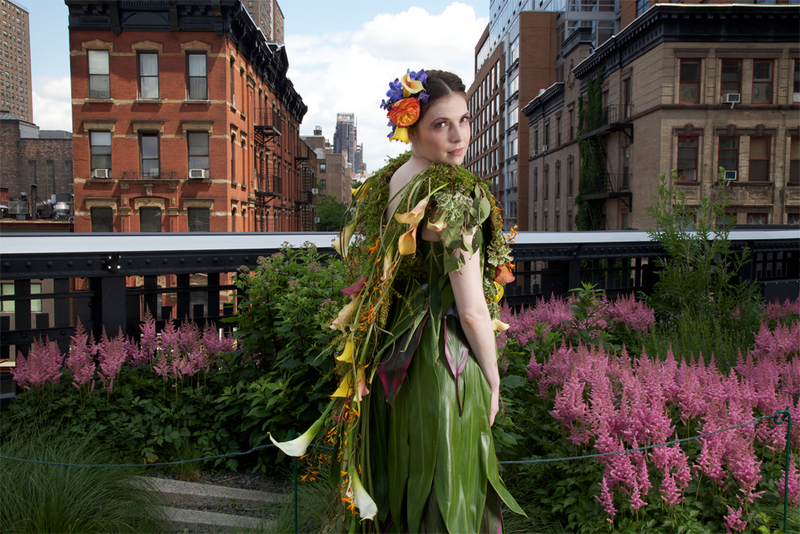 Lady Calla at High Line Park. Finding a bit of greenery and organic colour in a landscape of high-rises. 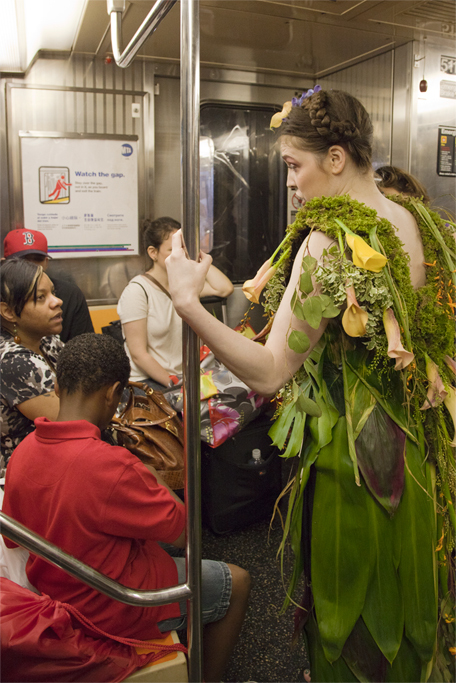 Talking about eco-fashion on the subway. 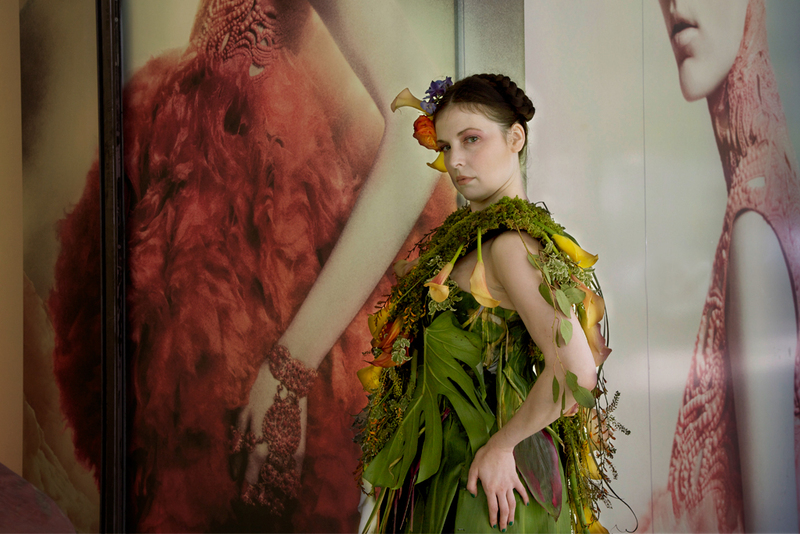 This woman expressed her desire to buy organic clothes for her kids. Lady Calla strikes a pose in front of the Alexander McQueen store but the heavy security at the door kept us and our cameras out. 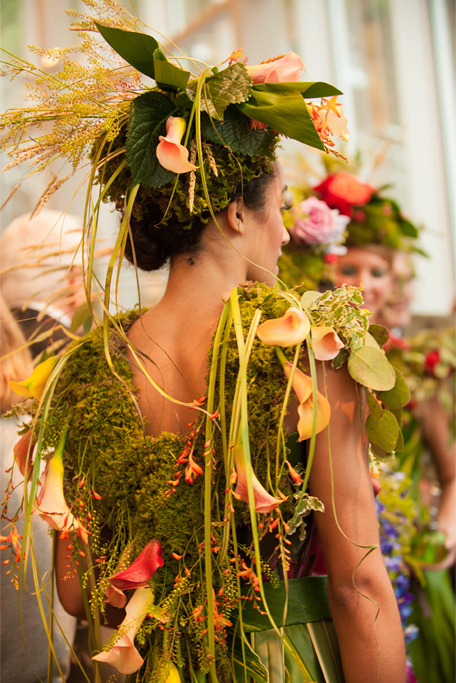 Where does one find sustainable fashion in NYC? No one seems to know. 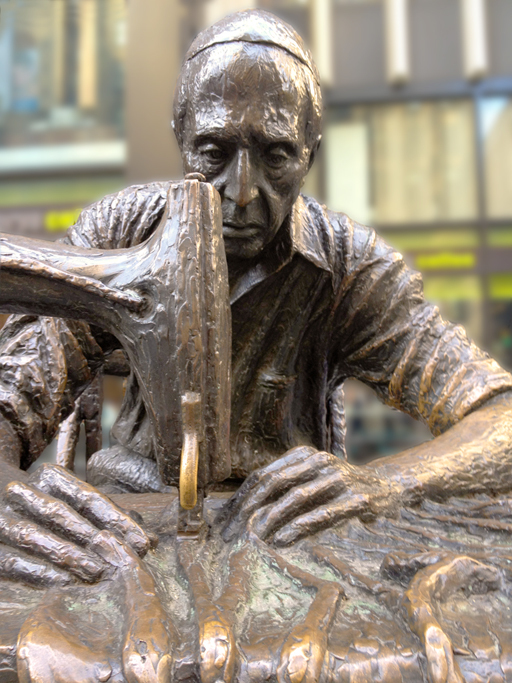 The Garment Worker, bronze sculpture on Fashion Ave dedicated to the immigrants who’s skills helped build the American garment industry in the early 1900s. 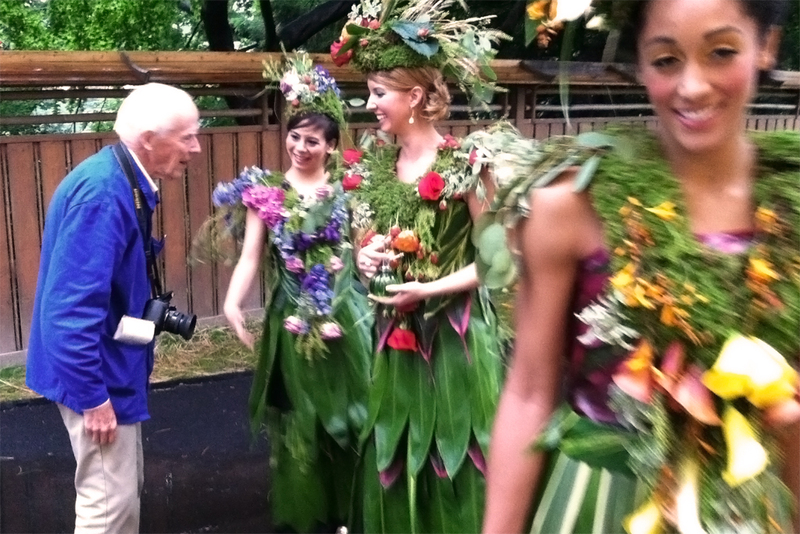 Legendary photographer Bill Cunningham was enchanted by the dresses at the Brooklyn Botanical Garden, which he reported on in the New York Times. 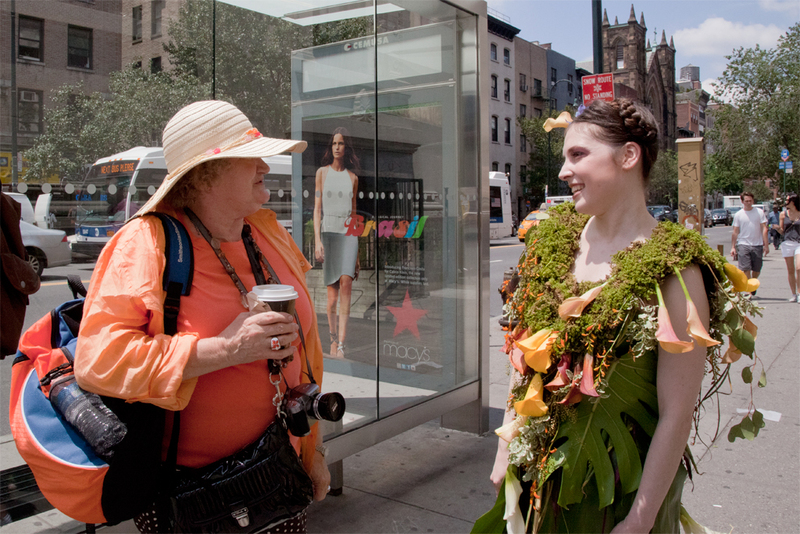 Lady Calla walked the streets of New York City asking people where she could find sustainable fashion. She took the subway from Brooklyn, walked along the high fashion streets of Manhattan and ended up at the Highline. This elevated railroad, now converted into a park, used to bring all the manufacturing goods to NYC’s thriving garment district. Today the designers have moved their productions overseas but Lady Calla did some window-shopping in the high-end fashion district.